The Guarani community of Ypo’i returned to their ancestral land in 2009, which had been taken over by a rancher called Firmino Escobar. Mr Escobar then blocked the road leading to the Indians’ community, and gunmen surrounded their houses, cutting off their access to water, food and healthcare. A federal prosecutor has since ordered Mr Escobar to open the road leading to the Indians’ community, and has warned that if he does not do so, he will have to pay a fine of 100,000 Reais (US $ 58,000). 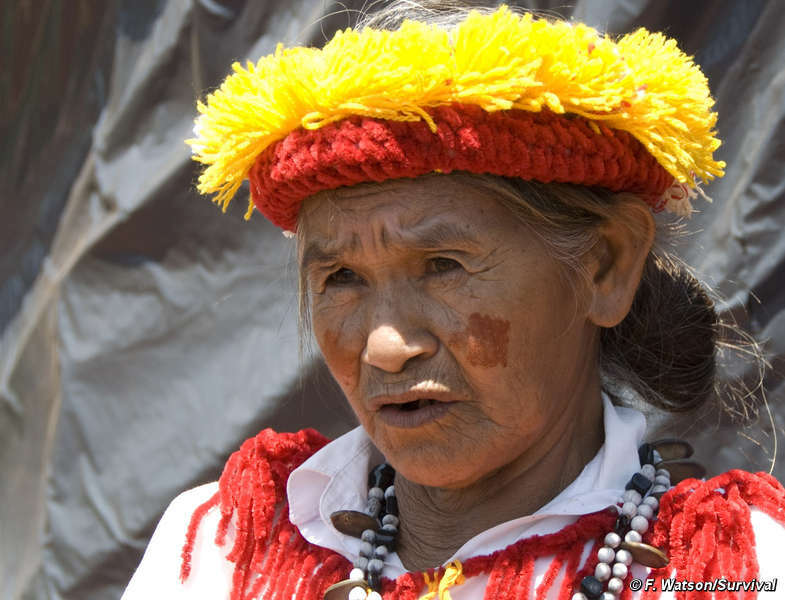 Describing the community’s feelings at their court victory, Anastácio Peralta, a Guarani spokesman, said, ‘This decision is a huge spiritual relief for the Guarani. However, this is just the first step; there are many struggles ahead’. The ruling follows interventions by the Brazilian government’s Indians Affairs Department, Survival International, Brazilian NGO CIMI, and other organizations, emphasizing the desperate situation of the Guarani. Following a previous attempt to take back their land, two Guarani men from Ypo’í disappeared and are thought to have been assassinated. The body of one of the men was found dead and badly bruised in a river in the area. The Guarani of Ypo’i decided to carry out these reoccupations following the government’s severe delay in mapping out their ancestral territory, which it is required to do by an agreement signed with the Guarani in 2007.